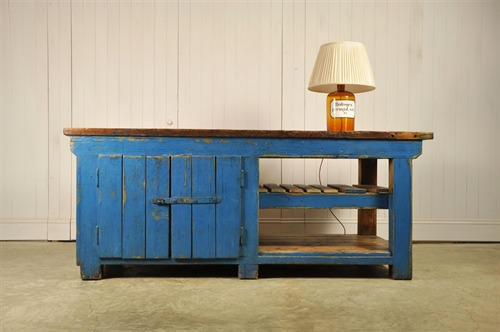 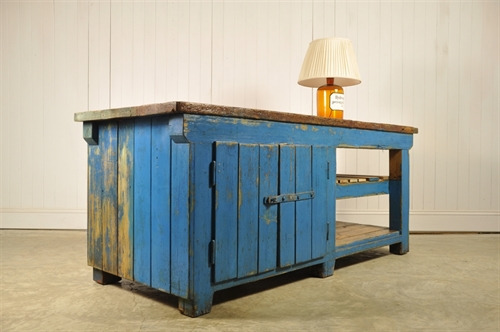 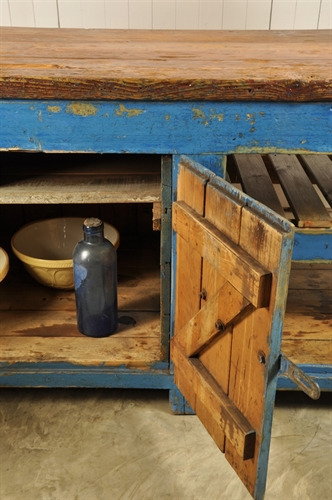 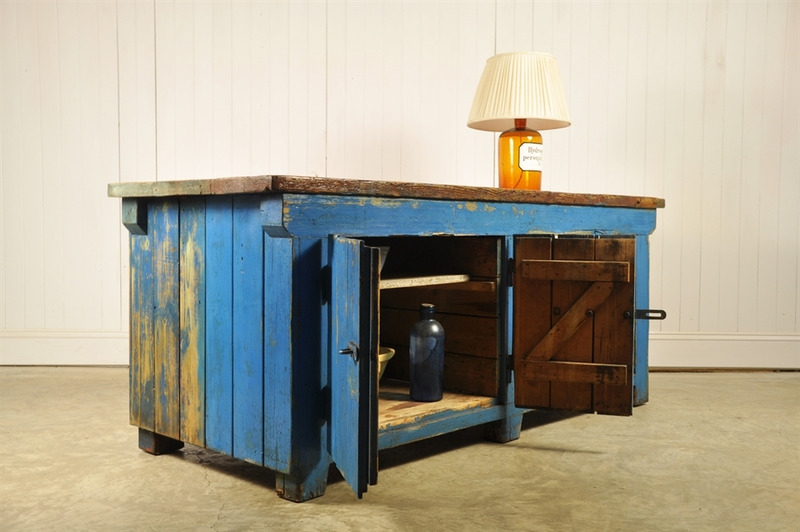 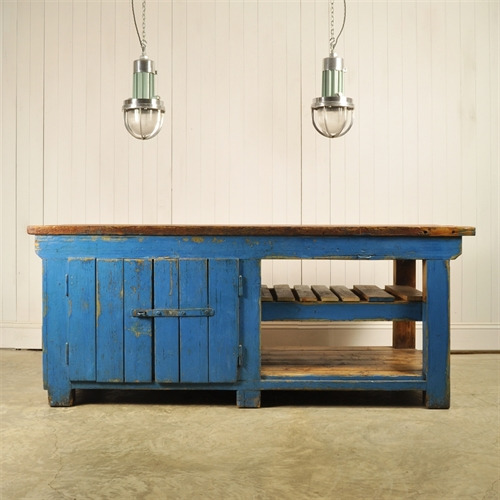 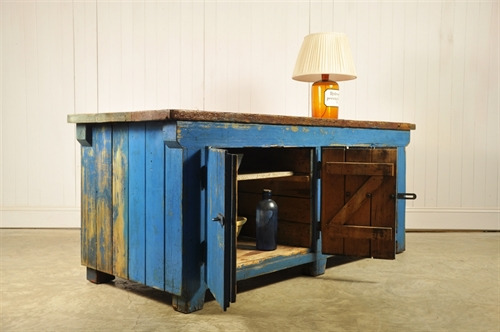 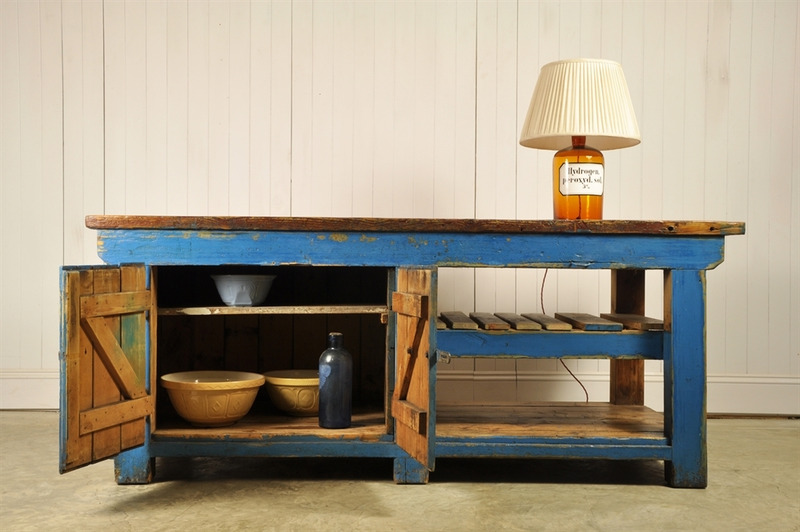 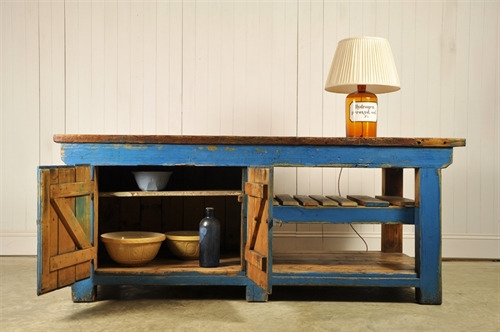 Blue Czech Factory Workbench - Original House – Decorative Antiques, Vintage Industrial Furniture and Lighting, Cotswolds. 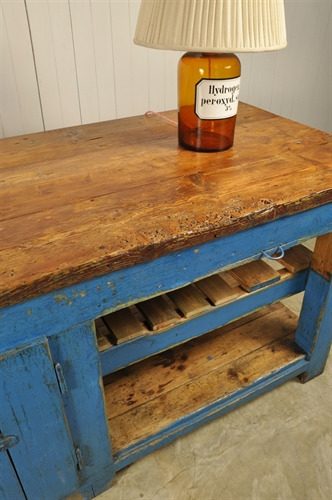 Circa 1920's this painted factory workbench was probably made on site as a one off piece of furniture to be used for a specific purpose. Made for function over form - we just love replacing these industrial pieces into a modern interior. 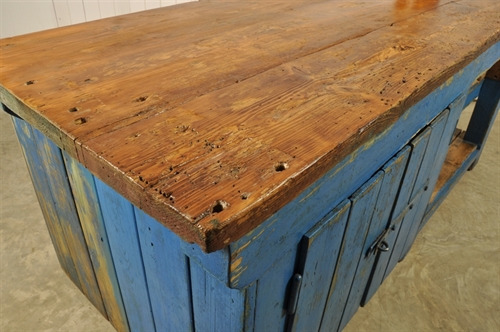 All very authentic with masses of character, bumps scrapes etc even quite a few drill holes on the work surface. We have given this a good clean and finished the top with a shellac lacquer to seal in the colour and provide a useable work surface. We could increase the height of this by adding some castors if required. 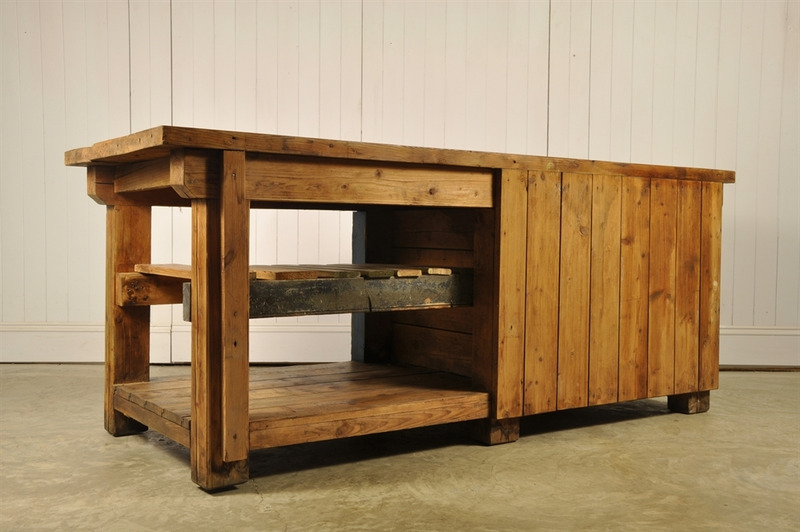 82 cm h x 200 l x 78 d.